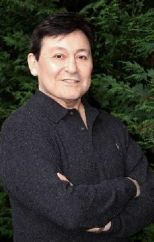 The Eastside Business Association was created by Founding President / Executive Director, Mario Morales and the EBA Founding Board Members. Each one of theses Directors has been working and volunteering in the Eastside and Seattle Communities for as much as 20 years individually. The creation of the EBA was to fill the need to support businesses in mentoring, networking, marketing and becoming more involved in community volunteerism. Our members receive experience in networking, promoting their business more efficiently and becoming more in touch with the Eastside community market. Keeping the Eastside Business Community a good place to do business is a top priority for the EBA and its members. The Eastside Business Association prides itself in the quality of the membership. We have the highest of standards in regards to honesty, quality and the utmost in customer service from our members.